Oh my goodness! I love them so much, how cute!! 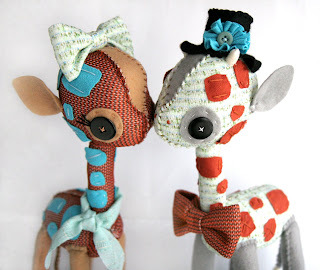 These are just too cute for words! Such beautiful work! I love all the colors! D'AWWW!! I love them. They are so pretty!!!! The top hat is so ridiculously awesome. I'm so jealous. Awee these are way too cute! I think these are honestly some of your best work! So cute! I love your attention to detail! Amazing work! OMG they are so gorgeous!!! 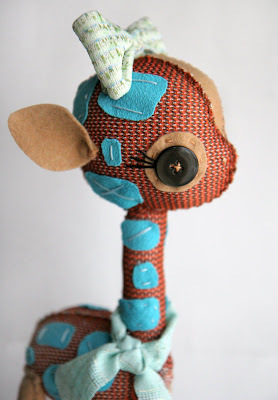 pretty pretty giraffes..absolutely worth the effort! OMG . i am in LOVE . well worth the effort indeed!!! these are amazing! they are just fantastic ! Soooo totally adorable!! Love them! Adorable! And I've been wanting to say how much I admire your economy--the way you do in just a stitch or two what my OCD brain/hand would insist on doing in dozens. SO GOOD, my dear. these are amazing! so great! Oh, these are super cute! Such great work. I love these! 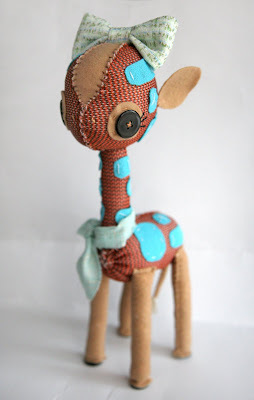 Soooo cute and the colors are perfect! Well aren't those just the sweetest! Cuuute! 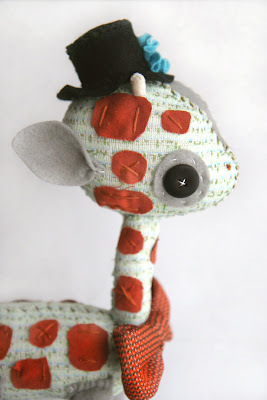 Giraffes are one of my favorite animals, and I was so excited to see how yours turned out!! Soo cute! I know you only really do animals, but - what about an old school nuts & bolts type robot? do you ever do special orders? You are so talented! ooooooh my.... how amazing!!! your work is stunning! i´m in loooove! Now those are uber cute. Oh my gosh Katie!! When I get married I want these for cake toppers!!!! They are soooo cute!! !that's gonna be one happy person with those little guys! !..so awesome!! 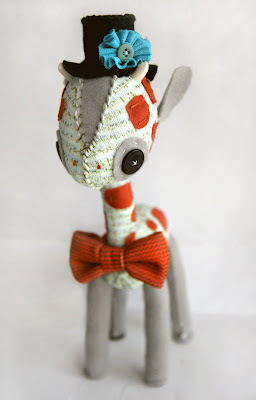 i love how you don't use conventional colors for the giraffes, they're adorable! so adorable!! they do look like they took a lot of time. So seriously cute! I especially love the brown one. your little animals are sooo cute!! and so unique looking! omg! (and i dont often "omg" either) your stuff is sooooo cute! you are super talented girl.